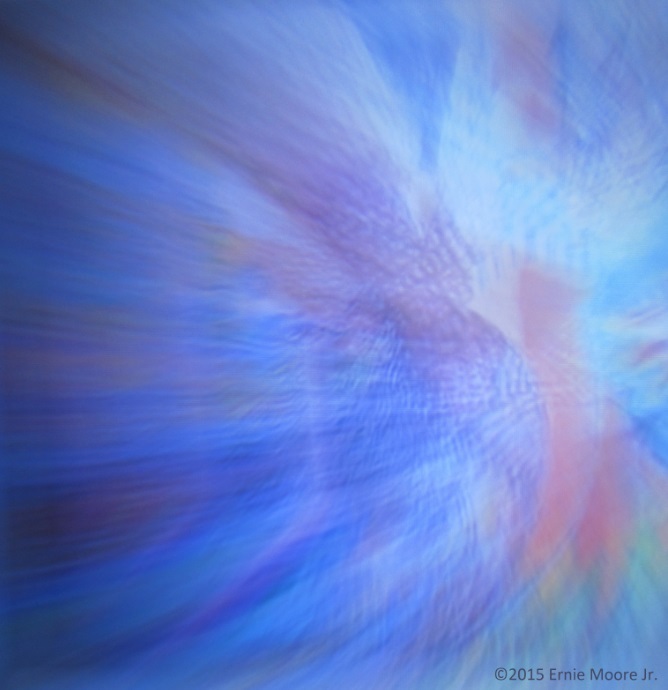 I’m trying a larger image as I’m exploring WordPress.-Ernie Moore Jr. 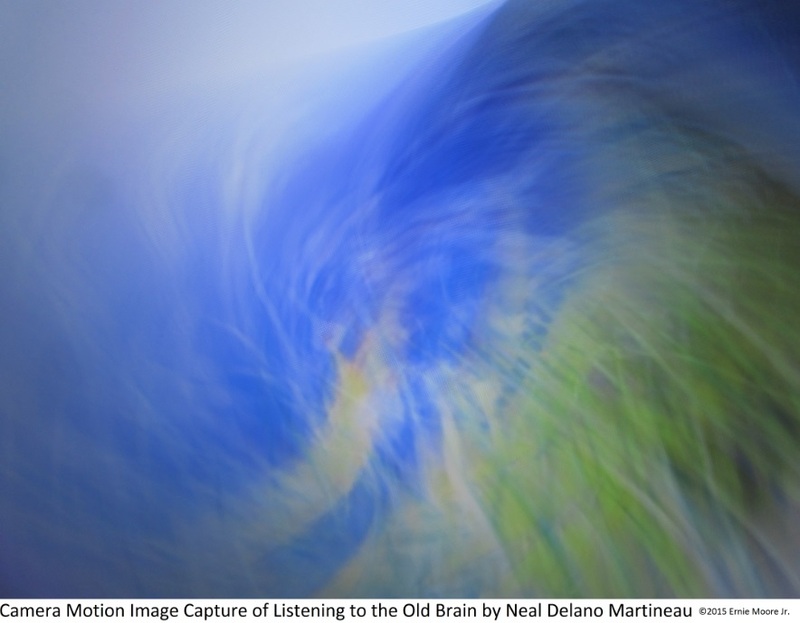 The photodigital is one of a series of Camera Motions of a particular photo of a painting by Neal Delano Martineau [Up-the Garden Path] http://www.nealmartineauart.com/#!product/prd1/3145599131/%2373-up-the-garden-path He prefers the more structured Camera Motions. I’m into looking for an Image within an Image. Here I get a sense of wings. The purple texture said pheasant (bird). 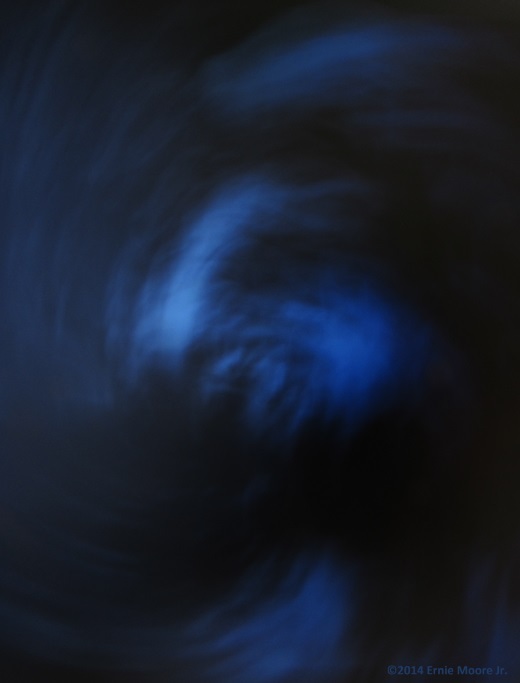 And some where in here more than sight is Feeling a sense of Birds in flight fighting.-Ernie Moore Jr.
Photodigital Camera Motion Image Capture stretching light-pulling light of a photodigital of a work of art called Listening to the Old Brain–http://www.nealmartineauart.com/#!product/prd1/1157102531/%232-listening-to-the-old-brain the photographer hadn’t wanted to be mentioned. The artist is named Neal Delano Martineau.-Ernie Moore Jr. This photodigital seems now to have two figures facing three o’clock on the page. However there was initially a concept of a semblance of a European Dragon sharing a phoenix wing. Now its more of a regular bird shape and a left eye perhaps with long eye lashes.-Ernie Moore Jr.